I like moving to new places and experiencing different cultures. Having previously enjoyed working in Spain and Hungary teaching English as a foreign language the idea of working in Australia was on my mind, particularly as I had recently visited Sydney to visit family. Whilst completing my PhD at Bournemouth University I spotted an advert on the British Computer Society website for a research job at UNSW, and sent my CV by email. The job appealed to me as the staff working there were established leaders in their fields, and if successful offered me the opportunity to establish a reputation working alongside those respected academics. Within the UK I believe I would have really needed more experience to obtain a job, particularly in industry. Research also interested me as I love both reading and writing. Within two days I had been offered the job, (subject to satisfactory references) although I was not able to leave the UK for a further six months. Firstly I needed to complete my PhD! The only preparation I made was finishing my PhD and meeting my teaching obligations as a part-time lecturer at Bournemouth University. Going to an English-speaking country meant I did not need to learn a new language, although in the past I had relished this challenge before taking up teaching posts in Budapest and Madrid. The first visa I needed was straightforward - a working visa which lasted for one year. When this expired it was easy to renew my visa for a further year, and beyond that I obtained a business visa. Subsequently, with the support of NICTA, I then applied for permanent residence in Australia, and was offered citizenship. This gives me the flexibility to return there in the future, should I wish to. The Australian Department of Immigration usually insists that everyone sits the CELTA test (Certificate in English Language Teaching to Adults); thankfully I managed to persuade them to waive this requirement, having spent years teaching this course myself! I arrived in Sydney in early January, at the height of the Australian summer, spending the first week in a hotel overlooking the beautiful sandy Coogee beach. Finding affordable accommodation was easy, and I soon found a suitable one-bedroom flat. It was easy to get into my new job. All my new colleagues made me welcome and helped me out when I was stuck about something. UNSW campus is nice so it was a good environment to work in as well. Getting to make new friends took time, although having family in Sydney made this process so much easier. In Australia people are very willing to invite you to their homes, often for a barbeque, so it wasn’t long before I felt at home. In some ways moving to Australia was a disappointing culture shock, since many aspects of life there are broadly similar to the UK. I had never really considered myself the outdoor type before moving to Australia, although I soon became accustomed to my new lifestyle. Sydney also has all the cultural attractions of a large city, and regular trips to the Opera House were also a memorable highlight of my time there. My first post in Australia involved working on a government-funded project at UNSW looking at e-business methodologies, establishing new ways to describe business and IT requirements for e-business systems. My subsequent post as Visiting Fellow at the UNSW involved some teaching in the School of Computer Science and Engineering and the School of Business, although much of my time was spent supervising PhD students. At the same time I was employed as a Senior Researcher with NICTA, which is the leading ICT research organisation in Australia. Their role is at the interface of Higher Education and Industry, and they aim to deliver new products, concepts and ideas into the commercial world to benefit industry and increase competitiveness in Australia. NICTA works closely with the HE sector to ensure that projects are rigorously assessed to ensure that they are marketable and commercially viable. My role was in research, but at the same time I continued my supervision of PhD students, and developed a teaching role with MSc students, delivering the “Advanced Topics in Software Engineering” course. Working closely with other staff I helped to develop this MSc course, ensuring academic content met the needs of industry. Organising and attending conferences and university committees was another important aspect of my work in Australia, and I was appointed programme chair for a high-profile group. There was initially plenty of money available to fund this work which included extensive travel both within Australia and further afield. Describe some of your achievements whilst working at NICTA. During my time at NICTA I had various objectives, with the overall aim of overcoming business and IT misalignment. Many business objectives, such as attracting new customers, working in an environmentally friendly way, and producing new products all rely heavily on IT for their successful execution. There is often a gap between the executive view and those employed at the operational level, with a resultant misunderstanding about what needs to be done. I was also able to encourage my PhD students from the UNSW to develop links with industry whilst I was working at NICTA. One student spent a very successful year with Australia’s biggest bank, the Commonwealth Bank of Australia, and was commended for his innovative work by their Head of IT Strategy and Chief Technology Officer. The PhD student analysed major subsidiary business development with a leading stock-trading business, which involved determining business need and putting facilities on the internet. Our work had started to make a real impact on the business world in Australia and this was a very exciting time for me. NICTA initially had massive financial backing, and we also achieved further milestones to obtain commercial additional funding, enabling us to engage the help of a market research team to ensure our research was even more rigorous. With the help of two colleagues at the UNSW I set up a profitable consultancy in Sydney, which did well until the financial crisis of 2008-9. Although we were not in business very long, I hope to utilise the skills I developed in the future. How did you find the Higher Education sector in Australia? Higher education in Australia is pretty much identical to the UK, as the systems are based on similar models and the level of academic rigour is the same in both countries. However, universities in Australia are becoming more americanised, as the country moves away from its British heritage. The assessment process before PhDs are awarded is slightly different in Australia, as there are no viva examinations. Assessment is done wholly on the basis of reports, where aspects of the PhD are examined against specific criteria. What about the Australian students? Many of the computer science and engineering students speak English as a second language. Standards of written and spoken English were therefore often lower than would be expected amongst university students in the UK. For me, this sometimes meant that communication with students was difficult, although most were highly motivated. How has the experience of teaching in Australia affected your work back in the UK? Working in Australia has been hugely beneficial to my career back in the UK. NICTA is one of the best organisations of its kind in the world, and working there has given me a unique experience. I was also given the opportunity to visit Japan for five weeks, which has enabled me to develop collaborative links with industry and universities there which will benefit the University of Brighton. The issues of climate change and water supplies are paramount in New South Wales, and I developed a special interest in this whilst in Australia. Back in the UK I am helping to develop a carbon management strategy for the University of Brighton, working closely with our energy manager as a consultant in my own time. I am also part of a university research group involved with green issues and IT. What did you enjoy most about your work in Australia? I really enjoyed my time working in Australia, both at the UNSW and at NICTA. The experience of working with so many highly qualified and experienced people was life-changing, and I learnt so much from them. The whole process of helping to ensure that our research has commercial benefits was also really positive, and this also enabled me to develop entrepreneurial skills which I have taken back to my new job at the University of Brighton. Working with some of Australia’s and the world’s leading researchers, entrepreneurs and business people in turning my research into something that sells has made a massive difference to me in how I look at research, work and life in general. Working on a five-year project to replace and renew the IT infrastructure for the largest government agency was also a highlight for me. We developed strategic models to develop research ideas into successful industry solutions. Obtaining commercial funding to develop new software when working for NICTA was also a great achievement. I also wrote about 50 journal and conference papers whilst in Australia, one of which received the national ANCCAC award in 2005 and I was given the opportunity to attend high-profile conferences in America, Europe and Asia. I was also invited to write the foreword of a Japanese industry book by NTT Data, which is now for sale in every bookshop in Japan. On a more personal level I made the most of the opportunities to travel in my spare time to Tasmania and Western Australia and attended all the England matches during the 2003 Rugby World Cup. The worst part for me was when National ICT Australia could provide no further funding to complete our project, effectively killing our research. It was at this stage that I decided to return to the UK. My advice for anyone planning to work overseas is to go for it! However, at the same time you need to be careful that the work is what you want to do, or you might get pigeonholed. If you are moving to work with a commercial organisation their ideas might not fit completely with yours. Think about what you want to achieve, and try to work out how much academic freedom you will have. As with visiting any foreign country you need to be aware of the local culture, but Australia is really quite British in most respects. Dr Karl Cox holds a first degree in History from the University of Wales Swansea. In the absence of other employment Karl worked in the kitchens at Butlins for a year after graduating. He then embarked upon a PGCE in Secondary History and had planned to teach in high schools until the staff on his teaching practice put him off. After studying his PGCE, Karl completed a TEFL course (Teaching English as a Foreign Language), and spent time teaching English in Madrid and Budapest. Karl had never previously considered a career in IT, having always hated computers! However, seeing his brother work as a successful IT consultant in industry, he then decided on a MSc course in Software Engineering at Bournemouth University. Karl originally felt that a career in research would not be for him, but gradually changed his mind during the course and then continued his studies completing his PhD at Bournemouth University in 2003. He then moved to Australia for six years. Before leaving for Australia Karl worked as a part-time lecturer at Bournemouth University. Dr Karl Cox is the author of over seventy research papers and has also written Spanish fiction in his spare time. 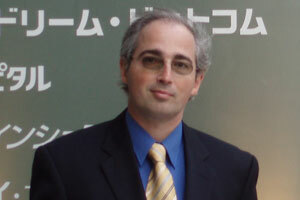 He is a member of the International Institute for Business Analysts and the British Computer Society.